I have never read the original adaptation of Jane Austen’s book before, this is my first time reading it as an adaptation – adaptation. Talk about six degree of separation from the original source! The flow of the story is definitely not lost in the panels, and when there are time skip moments – there are more text than normal to keep the flow. The adaptation and pacing of the story is spot on, and I couldn’t put down my review copy until I finished reading it on my iPad. In the print version of this book, there are 308 pages, and it is not all just the story of Emma. Interspersed within the chapters are character model sheets – meaning that Stacy King, included in profile depictions – much like this sheet on Jane Fairfax. There are also after the ending of the story, additional commentary by Crystal Chan on adapting Emma as well as how the characters were artistically developed by Po Tse, and how exactly is a manga page created. Austen is known for writing about the genteel class and the independence roles of females. There is much talk in Emma about high class society and marriage within classes or below a certain station. If there is any manga read alikes to this adaptation, on themes of social standing I definitely recommend reading Emma by Kaoru Mori and for the theme of matchmaking or a make-over there is High School Debut by Kazune Kawahara. 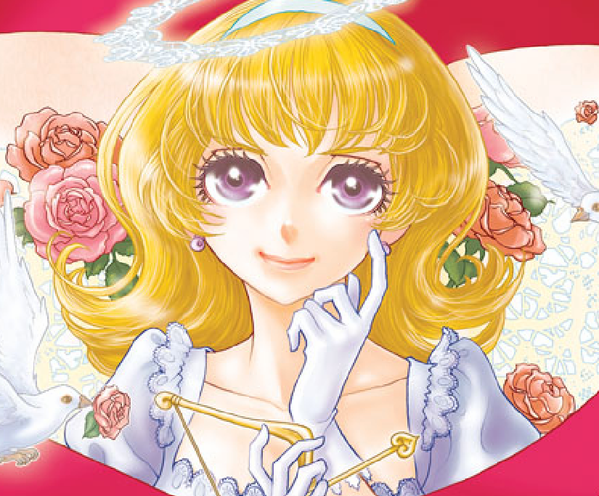 Udon Entertainment, the company who has recently announced releasing Rose of Versailles at SDCC 2015 has paved a way to reintroduced classics re-imagined and treated with a manga art style look. For those experienced with reading manga, the size of the eye, the thinness of the face and non-existence nose is a signature look for manga. Also the reading experience of reading from right to left is employed, but this is definitely an OEL title. Udon Entertainment have also released other manga adaptions to Les Miserables, Pride and Prejudice, Great Expectations and The Scarlet Letter. Emma joins the manga classics imprint line this year. This particular week, (August 10 to August 14, 2015) Udon Entertainment is going on a book blog tour, so Anime Diet and I just happened to be Wednesday stop. If you want to see what other blogs are doing – as well as book giveaways, interviews or other book reviews – check out the other stops on this Emma tour!